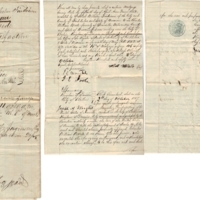 A mortgage release document from William Wrede for a debt owed him by Gottlieb Wilhelm Findeisen, signed October 2, 1857. 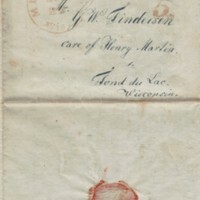 Letter from Wilhelm Nockemann, Milwaukee to Gottlieb Wilhelm Findeisen, care of Henry Martin, Fond du Lac, Wisconsin, August 26, 1850, with a translation from the original German. 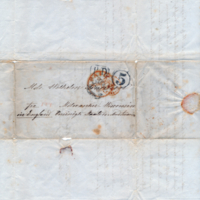 Letter from E. A. Richter, Leipzig to Gottlieb Wilhelm Findeisen, Milwaukee, Wisconsin, April 19, 1849, with a translation from the original German.